Your passionate local roofing experts, specializing in low-slope roofing, single-family, and multi-family buildings. 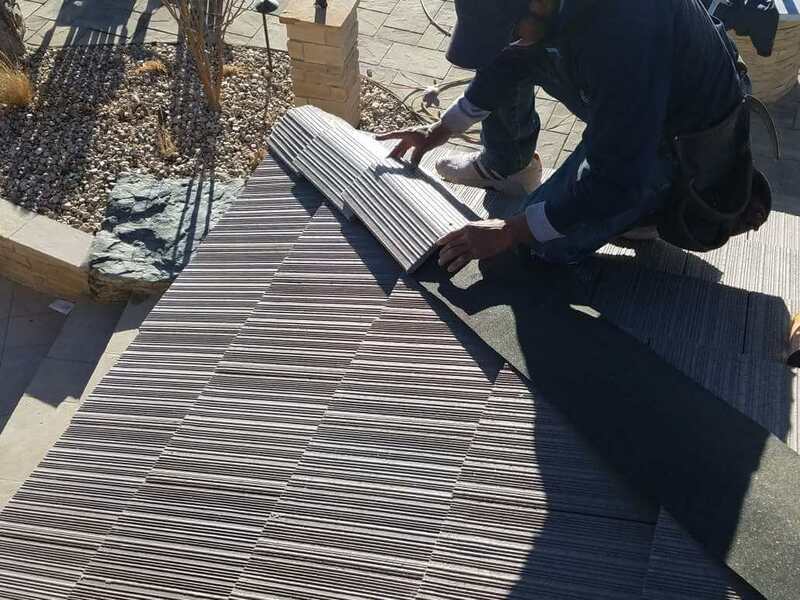 Modern Roof Co is a leading Denver-based residential and commercial roofing company with over 35 years of industry experience. We provide full service, high-quality residential and commercial roofing with a keen attention to detail and accuracy. Modern Roof Co is based in Denver, Colorado. We have localized knowledge and have the necessary connections that set us apart. 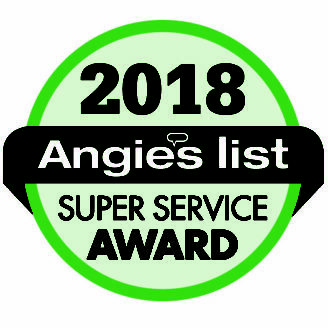 We are founded on putting our customers first and built a reputation around our high-quality customer service. Our team has over 35 years in the roofing industry and have gathered the required expertise to complete every roof with 100% satisfaction. Great local company! I have used Modern Roofing for our home as well as rental properties. Responsive and able to coordinate with my insurance company as needed. I recommend them to all my friends, family and clients. Modern Roofing provided as specified and did everything that was requested of them without question and in a timely manner. Local commercial roofing done right. 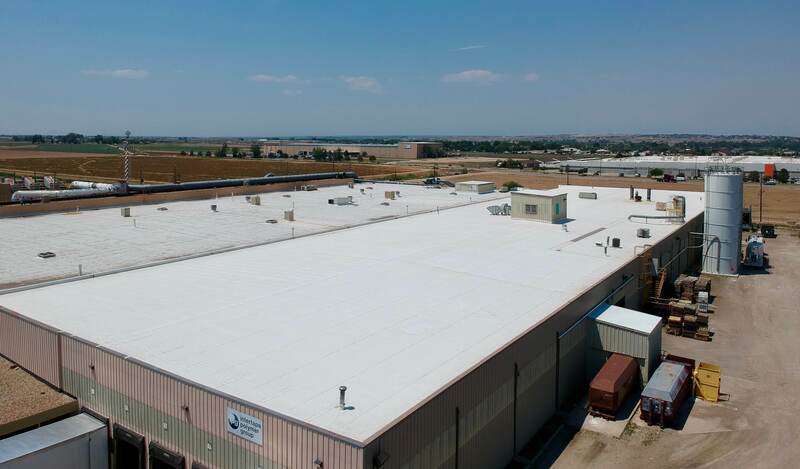 Modern Roof Co has installed over 1 million square feet of commercial roofing in the Denver area. We have experience in all aspects of the roofing process. Our estimated bid will fit within your budget allowing for assorted options such as TPO, PVC, and EPDM single-ply systems. The installation process is fully transparent, and we will communicate with you throughout the project. We provide all warranty information and continue an open line of communication well after we finish your roof. 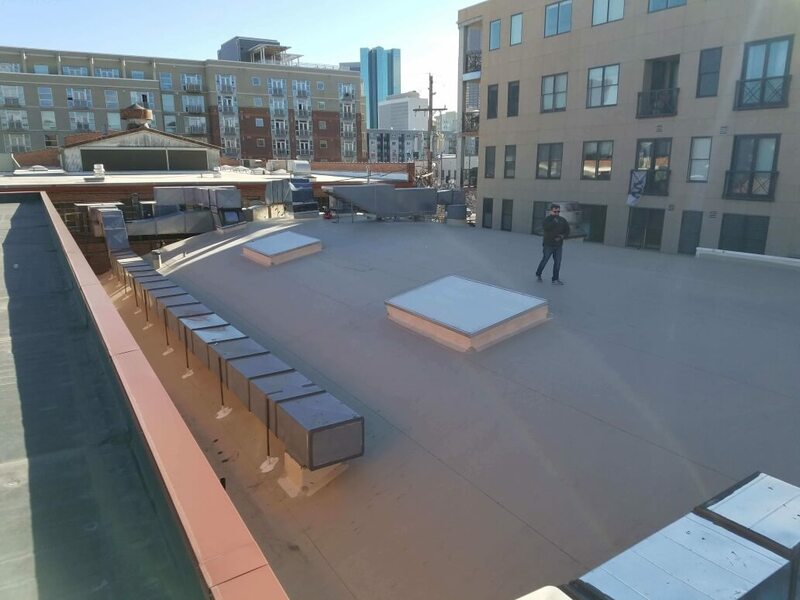 Our full-spectrum commercial roofing services are top rated in the Denver area, while our customer service outmatches the competition. View more of our services and see for yourself why Modern Roof Co leads the way for professional commercial roofing. Top quality roofing services for our community. 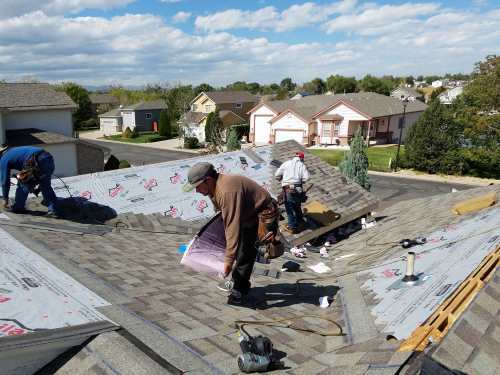 Our local project managers provide the Denver community with the best roofs in Colorado. We are experts at our craft and do not settle for a less-than-perfect roof. The difference between Modern Roof Co and other residential roofing companies is that we care about every roof we install. This is our community too, and we want our neighbors to be proud of the roof over their head. You are protecting more than you’re the items inside your home, you are protecting your family. Go with a company that cares just as much as you do. We are passionate about giving you premium roofing without the premium price tag. Whether you are filing a roof insurance claim or need a roof repair, Modern Roof Co is your top choice for a quality roof. We provide safety-first roofing services to all multi-family communities. 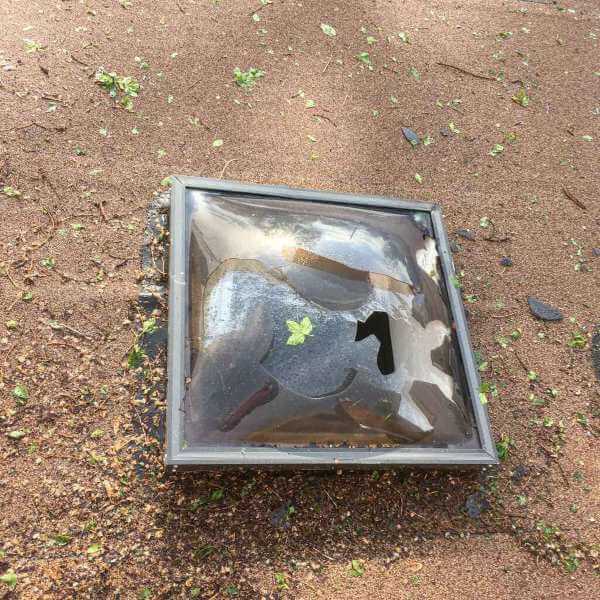 Our efficient crews will give your community full-service roofing in a timely manner with complete clean-up. You will have a new roof for all your residents, while we will maintain the quality for years to come. Single-ply flat roofs have become the dominant roofing membranes in the industry. We are expert installers of TPO roofing, PVC roofing, EPDM roofing, and have options that go far beyond the standard. We stay up to date on all new services keeping us one step ahead of the competition. Modern Roof Co has crews experienced in installing multi-ply roofing membranes also known as built-up roofing. Modified bitumen is a proven method for many low-slope roofs, but few roofing companies know the process. If you’re looking to install a built-up roof, Modern Roof Co is the company you need. Many property owners are switching to metal roofing because of its durability and long warranty. We will install a metal roof on a flat roof just as easily as any residential roof. We are certified by the Metal Roofing Alliance ensuring high standards and the best quality metal roof in Denver. 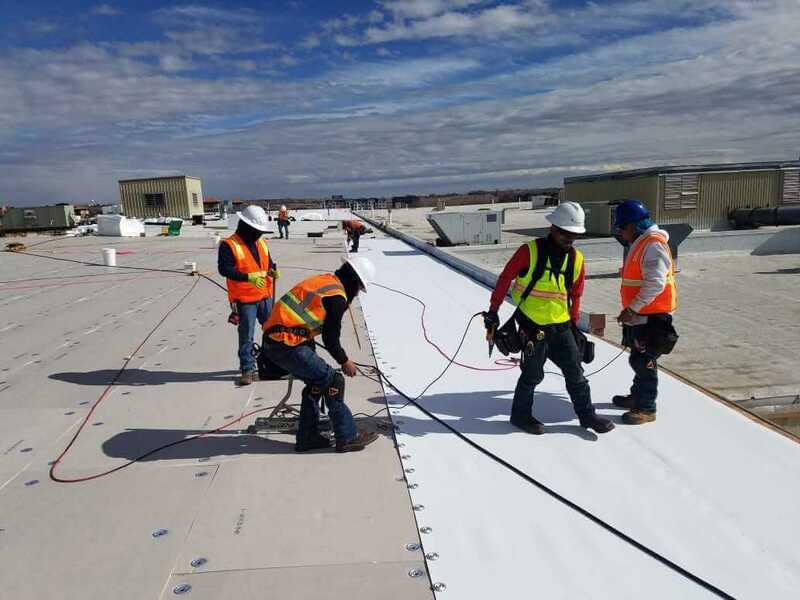 Modern Roof Co is a commercial roofing company with the equipment and experience to guarantee successful and timely completion of your commercial roof. We service all sizes and types of low-slope roofs. Our services include new roof construction, roof repair and maintenance, reroofing, insurance claims, and roof coatings. 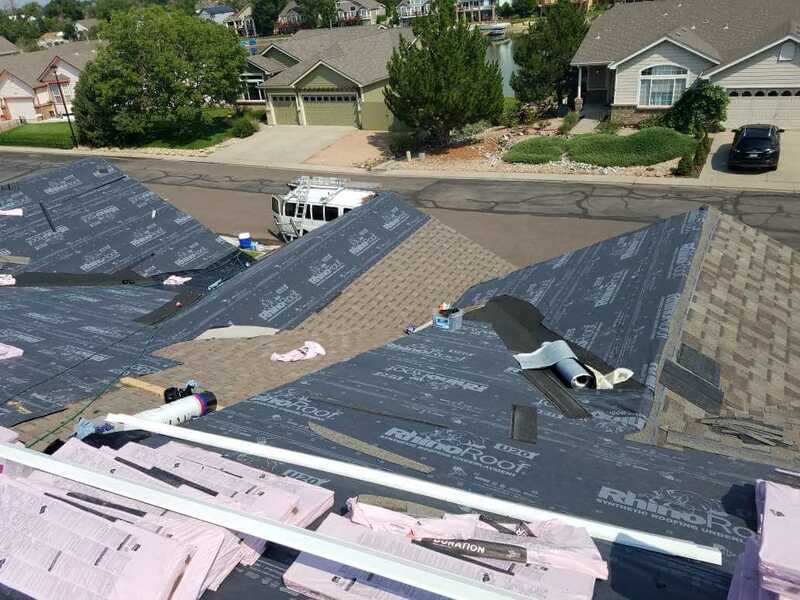 Our residential roofing experience spans thousands of residential roofs across Denver and the surrounding areas. With our expertise and attention to detail, your roof will last for years to come. Our residential services include new roof construction, reroofing, roof repair, and storm damage restoration. Modern Roof Co is a commercial roofing company that specializes in roof repair and replacement. We provide professional roofing services to Denver and the surrounding areas. Your most valuable asset is your roof and our dedication is to provide full-service commercial roofing at a reasonable price. Denver has unpredictable weather and when a storm hits your roof, thousands of scammers come out of the woodwork. Don’t get scammed! Modern Roof Co has expert insurance reps and reliable project managers that will make sure you get the full amount on your claim. We are founded on transparency and honesty, and you can rest assured that we will be with you throughout the whole claims process.